The largest edi­ble fruit native to the Unit­ed States tastes like a cross between a banana and a man­go. It grows wild in twen­ty-six states, grac­ing East­ern forests each fall with sweet-smelling, trop­i­cal-fla­vored abun­dance. His­tor­i­cal­ly, it fed and sus­tained Native Amer­i­cans and Euro­pean explor­ers, pres­i­dents, and enslaved African Amer­i­cans, inspir­ing folk songs, poet­ry, and scores of place names from Geor­gia to Illi­nois. Its trees are an organ­ic grower’s dream, requir­ing no pes­ti­cides or her­bi­cides to thrive, and con­tain­ing com­pounds that are among the most potent anti­cancer agents yet dis­cov­ered. So why have so few peo­ple heard of the paw­paw, much less tast­ed one? 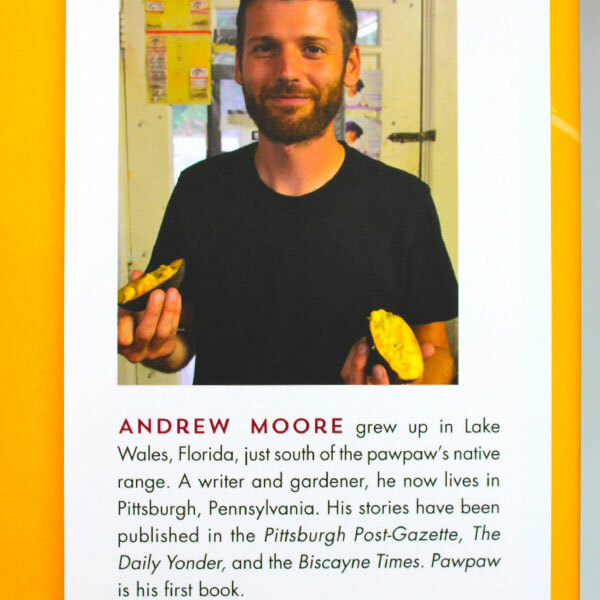 In Pawpaw―a 2016 James Beard Foun­da­tion Award nom­i­nee in the Writ­ing & Lit­er­a­ture category―author Andrew Moore explores the past, present, and future of this unique fruit, trav­el­ing from the Ozarks to Mon­ti­cel­lo; canoe­ing the low­er Mis­sis­sip­pi in search of wild fruit; drink­ing paw­paw beer in Durham, North Car­oli­na; track­ing down lost cul­ti­vars in Appalachi­an hollers; and help­ing out dur­ing har­vest sea­son in a Mary­land orchard. 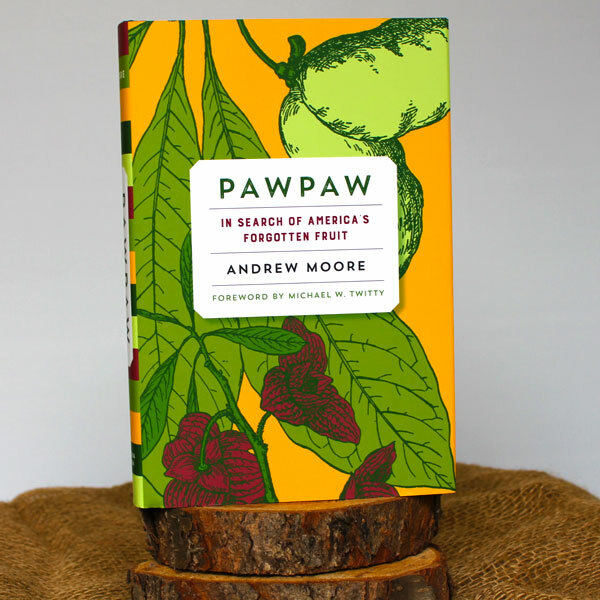 Along the way, he gath­ers paw­paw lore and knowl­edge not only from the plant breed­ers and hor­ti­cul­tur­ists work­ing to bring paw­paws into the main­stream (includ­ing Neal Peter­son, known in paw­paw cir­cles as the fruit’s own “John­ny Paw­pawseed”), but also reg­u­lar folks who remem­ber eat­ing them in the woods as kids, but haven’t had one in over fifty years. As much as Paw­paw is a com­pendi­um of paw­paw knowl­edge, it also plumbs deep­er ques­tions about Amer­i­can foodways―how eco­nom­ic, bio­log­ic, and cul­tur­al forces com­bine, lead­ing us to eat what we eat, and some­times to ignore the incred­i­ble, deli­cious food grow­ing all around us. 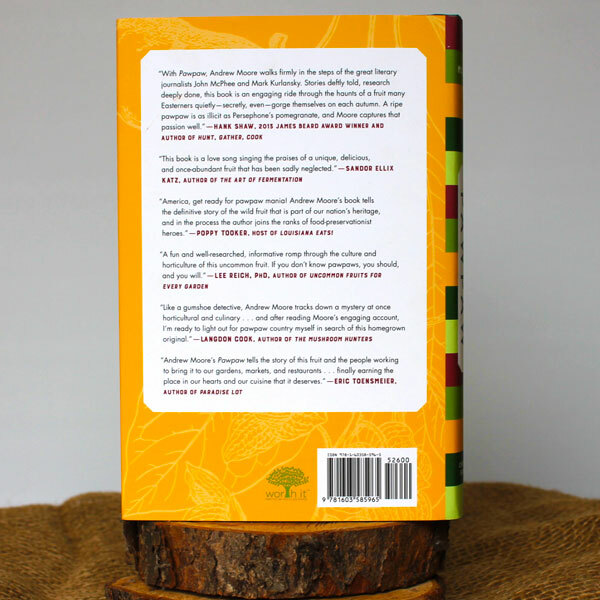 If you haven’t yet eat­en a paw­paw, this book won’t let you rest until you do.